PALEO & GEO TOPICS: Comments by R. L. Squires: "Desert Roses"
“Desert roses” are clusters of crystals of baryte or gypsum containing inclusions of sand. “Baryte” is the new official spelling of the mineral barite. “Desert roses” are also called “sand roses,” “rose rock,” “gypsum rose,” and “gypsum rosettes.” The clusters can be spherical shaped, irregular, or columnar shaped. They are commonly red or reddish brown. These three pictures shown baryte "desert roses," and the largest one shown above is 2 inches in diameter. They feel heavy to the touch because of the element barium. "Desert roses" form as evaporites when shallow waters (marine lagoons or lakes) rich in sulfates containing the elements barium or calcite precipitate out of solution. “Desert roses” are not that common although it seems that every collector I know has one or two. They are found in Kansas, Oklahoma, Arizona, California, Egypt, and a few other places in the world where lake beds have dried up and become evaporites. They can be of any geologic age (e.g., Permian [250 million years old] or Plio-Pleistocene [less than about 3 million years old]). Some of the most famous and largest (up to 39 inches tall and weighing as much as 1,000 pounds) specimens of “desert roses” are from the Permian-age (about 275 million years old) Garber Sandstone in Oklahoma. In fact, in 1968, “desert roses” became known as the official state rock of Oklahoma. 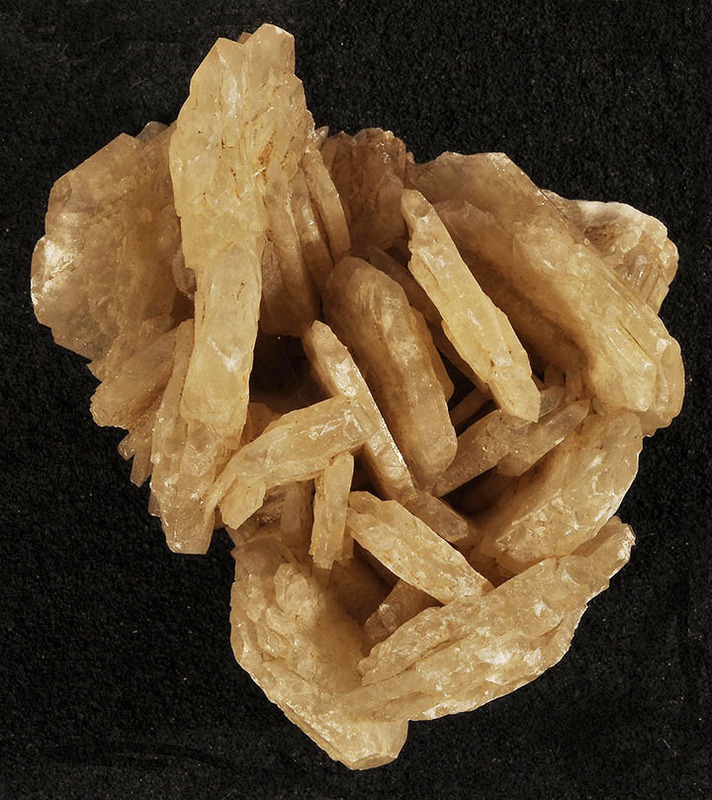 Like the one shown above (1.5 inches long), not all clusters of baryte contain inclusions of sand nor do they necessarily have to form as evaporites.